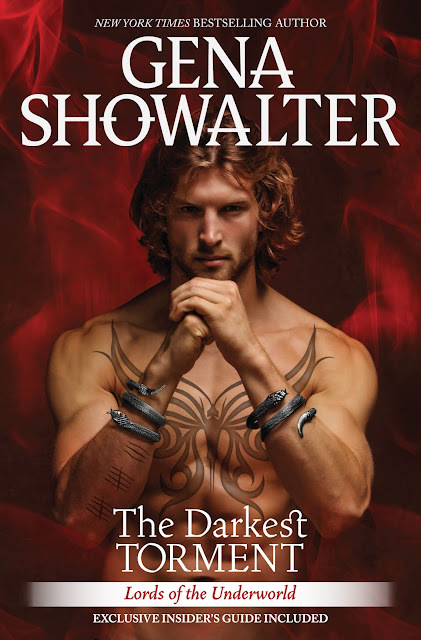 Get ready for the 12th and most epic book in the Lords of the Underworld series yet, THE DARKEST TORMENT, available May 31, 2016! I think we can all agree on one thing: #BadenIsHot! Click HERE to read a note from Gena on why she chose to write about Baden. Driven to his death by the demon of Distrust, Baden spent centuries in purgatory. Now he's back, but at what cost? Bound to the king of the underworld, an even darker force, he's unable to withstand the touch of another...and he's quickly devolving into a heartless assassin with an uncontrollable temper. Things only get worse when a mission goes awry and he finds himself saddled with a bride—just not his own. Famed dog trainer Katarina Joelle is forced to marry a monster to protect her loved ones. When she's taken hostage by the ruthless, beautiful Baden immediately after the ceremony, she's plunged into a war between two evils—with a protector more dangerous than the monsters he hunts. They are meant to be enemies, but neither can resist the passion burning between them...and all too soon the biggest threat is to her heart. But as Baden slips deeper into the abyss, she'll have to teach him to love...or lose him forever. Price: $26.99 U.S. / $29.99 CAN. A complete set of all 11 books in the Lords of the Underworld series to ONE winner - US/Canada. 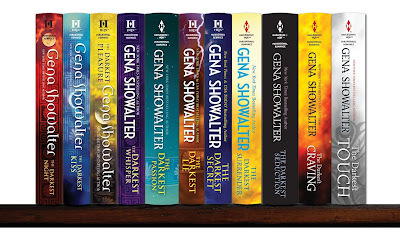 Gena Showalter is the New York Times and USA TODAY bestselling author of the spellbinding Lords of the Underworld and Angels of the Dark series, two young adult series--Everlife and the White Rabbit Chronicles--and the highly addictive Original Heartbreakers series. 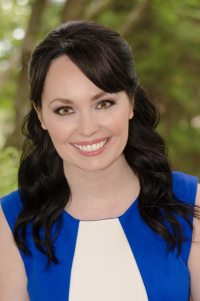 In addition to being a National Reader's Choice and two time RITA nominee, her romance novels have appeared in Cosmopolitan (Red Hot Read) and Seventeen magazine, she's appeared on Nightline and been mentioned in Orange is the New Black--if you ask her about it, she'll talk for hours…hours! Her books have been translated in multiple languages. She’s hard at work on her next novel, a tale featuring an alpha male with a dark side and the strong woman who brings him to his knees. You can learn more about Gena, her menagerie of rescue dogs, and all her upcoming books at genashowalter.com or Facebook.com/genashowalterfan.